The best thing about WordPress is that anyone who can send an email with an attachment can build a Web site with it. The worst thing about WordPress is the same thing. Yes, the ease-of-use of WordPress can be both a good thing and a bad thing. Bad, because it’s really easy to mess things up, in both technical and non-technical ways. In an article from 2012, entitled “Because we can”, I talked about the non-technical ways one can mess things up. In this article, I want to talk about some of the technical issues, specifically related to WordPress plugins. 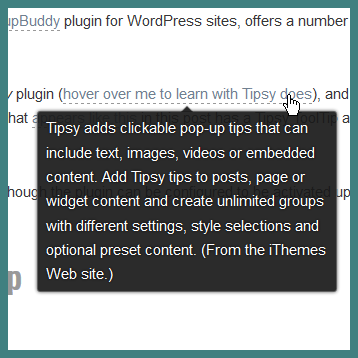 Adding and activating a plugin for a WordPress site can be as easy as clicking twice. But there are potential hidden perils behind those clicks. Read on to understand what those perils are and how they can be avoided and addressed. A plugin is a computer programs (“script” or sets of scripts written in the same language WordPress is written in) that extends or alters the core functionality of WordPress. Poorly written plugins — and plugins that employ third-party libraries that have been compromised — can allow hackers to do damage to your site. Bloated and/or inefficiently coded plugins can dramatically slow your site down. As WordPress is updated (which happens several times a year these days), plugins that are not maintained by their authors can become non-functional or, worse, create conflicts with the core WordPress code. 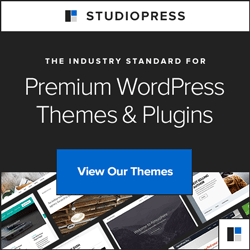 How can a WordPress Developer Help with Plugins? Here are some of the things you can expect professional WordPress developer to do when it comes to finding plugins for your Web site. Professional WordPress developers continually monitor the ever-changing landscape of WordPress plugins by participating in Internet discussion forums and reading articles they find from newsfeeds from the best and brightest WordPress developers, including many who contribute actively to the WordPress project. They look at compatibility ratings and carefully read through plugin reviews at WordPress dot org — especially the negative ones. They inspect changelogs to see how frequently and recently plugins have been modified and how. Once they find a plugin that is a candidate, they investigate other plugins by the same author(s). They read through the plugin documentation. They pour through the support forums to find out what problems people are encountering, whether the issues have been resolved, and, most importantly, how responsive the plugin authors are. Then they download the software and inspect the code. Is it lean enough? Is the plugin well documented? Does it include hooks that would allow a developer to extend it? Once they’ve earmarked a plugin for use, they spend hours, and in some cases days, testing it out in a real-world scenario on a development site. If and when they encounter problems on a site — things that stopped working after a plugin was installed and activated — they methodically diagnose potential plugin conflicts. Are you likely to do all — or even any — of those things? Do you have the background? Sure, you could spend a few minutes asking around on Facebook for plugin suggestions and then choose the first one mentioned. Or you can make your plugin decision after reading a cursory review on a blog written by someone who has done nothing more than paraphrase the features, functions, and benefits described on the plugin’s Web site. And then you can cross your fingers.